We still know very little about the insect species that colonise a cadaver. But the latest published study from Sibyl Bucheli’s lab at Sam Houston State University, Texas, suggests they are far more diverse than we had previously imagined. The study was led by Bucheli’s former PhD student Natalie Lindgren, who placed four cadavers on the Huntsville body farm in 2009 and left them out for a year. During that time, she returned four times a day to collect the insects that she found on the cadavers. The usual suspects were present, but Lindgren also noted four unusual insect–cadaver interactions that had never been documented before – including a scorpionfly feeding on brain fluids through an autopsy wound in the scalp and a worm, previously only known to feed on decaying wood, feeding on the dried skin around where the toenails had been. Insects colonise a cadaver in successive waves, and each has its own unique life cycle. They can therefore provide information that is useful for estimating time of death and for learning about the circumstances of death. This has led to the emerging field of forensic entomology. Insects can be useful for estimating time of death for a badly decomposing body. In theory, an entomologist arriving at a crime scene can use their knowledge of insects’ life cycles to estimate the time of death. In addition, because many insect species have a limited geographical distribution, the presence of a given species can link a body to a certain location or show that it’s been moved from one place to another. In practice, though, using insects to estimate time of death is fraught with difficulties. 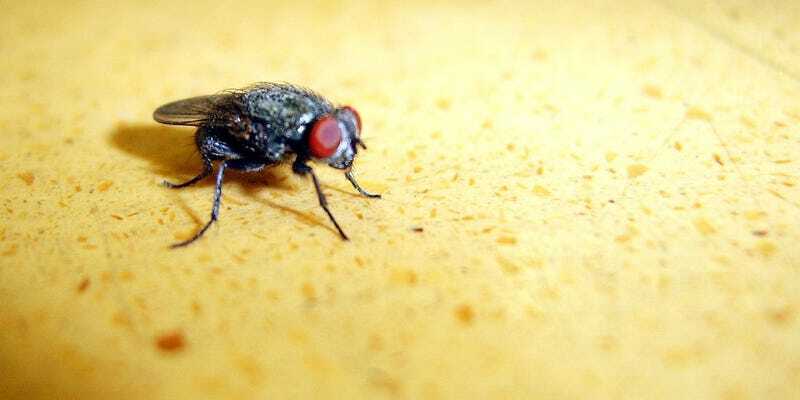 Time-of-death estimates based on the age of blowfly maggots found on a body are based on the assumption that blowflies colonised the cadaver right after death, but this isn’t always the case: burial can exclude insects, for example, and extreme temperatures inhibit their growth or prevent it altogether. Even if insects appear just after death, they are cold-blooded creatures, so their rate of growth is relative to temperature rather than to the calendar. If you know the temperature and the growth cycle of a fly, you can estimate its age to within an hour or two, says Bucheli – but if not, time-of-death estimates based on insect colonisation can be wildly inaccurate and misleading. This article first appeared on Mosaic and is republished here under Creative Commons license. Image by Dan Foy under Creative Commons license.